Roaring muskets flash salutes as thousands of warrior horsemen race onto a dusty parade ground in front of the Emir’s palace marking the start the annual Durbar festivals in Northwestern Nigeria. Horseman clad in colorful robes, indigo turbans, ostrich feathers and glistening swords honor their Emir who enters the parade shielded from the sun by a massive twirling parasol. It is the season for the Durbar! 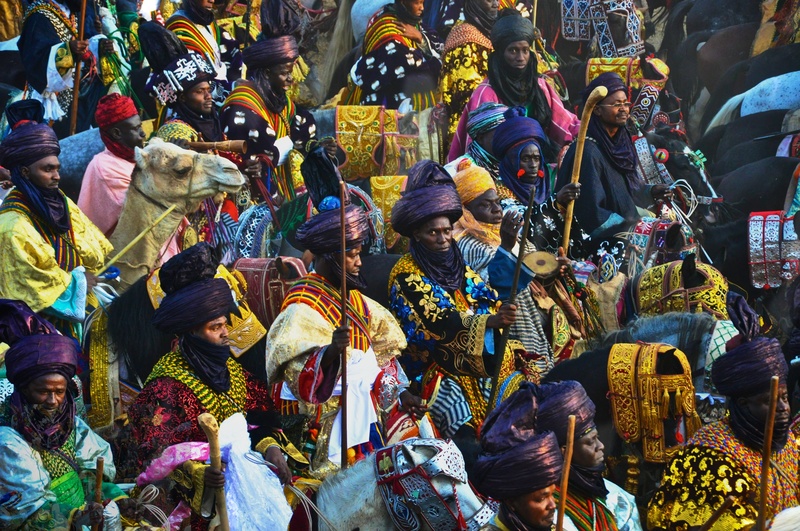 This entry was posted in Nigeria and tagged Durbar Festival, Kano, Katsina by kobrigama. Bookmark the permalink.